Now I must admit, all of us have insecurities. We wouldn’t be human without them. Our looks and appearance; our longing to be loved, appreciated and noticed; approval from others; the list goes on and on. Yet I reckon above all the belief that we’ve all been holding onto way too long is the notion that we do not have anything to say to the world because of certain limitations placed on us. That we can’t fully step into the hope of Jesus and the security of Jesus- and we can’t share the gospel to others- because of this particular limitation that people say we have. You’re too fat, too skinny, too flamboyant, too reserved, not outgoing enough, too opinionated, too over-the-top…whatever that people try to point out that you have- there’s always one person to say that it is because of that thing that you’re not good enough, and what you say doesn’t matter. But what I’ve come to realise over the past couple of weeks (ever since I’ve written the last blog actually!) is that anything you possess, either tangible or intangible, that others try to put you down for; can actually be a strength, and is a part of you, makes you unique, and ultimately may be an active part of saying the thing you want to say that brings people closer to Jesus! Understand what I mean? I reckon the only thing we need as believers in order to step out to share the gospel, is a willing heart, an able body, and being alive and breathing. That’s it. Do you need degrees in whatever doctorate or phd or something else? Maybe, by then again, maybe not. God has placed gifts in your heart and your hands and your mind for a reason- so that sharing the gospel looks different from person to person depending on the skills people have and the work they love to do. But ultimately your ‘limitations’ shouldn’t actually limit you in the type of work you do for the kingdom. Sometimes you gotta know what your limitations are and then only stick to your strengths in terms of doing things effectively and efficiently for the Kingdom; however at other times God calls you to undertake tasks for the kingdom that you know will stretch your limitations, because that will in fact grow you as a person. And that’s ok. But like our heroes in the Bible (Abraham at 100 years old, prepared to kill his son; Moses the murderer and speech stutterer, leading the whole Hebrew tribe out of Egypt; shepherd boy David slaying Goliath; Josiah being king at 8 years old; Jonah told to witness to the Ninevites, his worst enemy! ); I reckon the beauty of God calling us ordinary folk to do extraordinary things, is that He will provide us with the tools we need to climb our proverbial (or even literal) mountains in our lives. I mean- the saying ‘God doesn’t call the equipped, He equips the called’ was probably rooted in Scripture somewhere (don’t quote me on that! ), but that thought alone should give us comfort. That whenever we feel like a task is too big, we must remember that with God on our side, we shouldn’t feel afraid inadequate nor afraid. And the beauty is…it’s a new year. It’s 2019. So that means you can literally start over if you want to, and leave the past behind. The person you were in 2018, or the things you did or didn’t do, don’t matter. If you want, 2019 can be the start of something special and new and different and crazy and extraordinary. Because if you’re alive and breathing, then you have something to say. 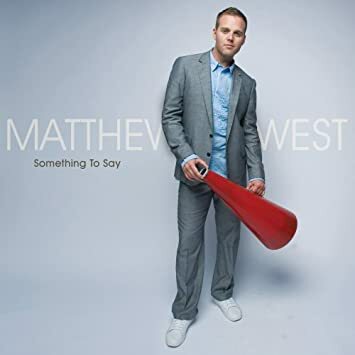 And as Matthew West has so brilliantly and eloquently said in his song “Something To Say” (his album has been quite brilliant, and encouraging to me over the past couple of weeks! ), we must remember that ‘…the answer to the question is, you were created your life is a gift…and no one can say it like you do, God is love and Love speaks through you, you got it, you got it, you got something to say…’. Having limitations in our lives aren’t limitations at all. They’re opportunities to do things differently, to be unique, and most importantly, to keep pressing on in the all-important role of bringing God’s kingdom down from heaven to earth. If you want to be the change that everyone want to see, it starts with you. And with me of course. And if you don’t like who you’ve been, don’t be that person. You can ask God to help you, and all it takes if one simple step. After all who wants to go through the motions in 2019? Not me that’s for sure! Not when I’m still breathing and my heart is still beating! Is there something that you hold near and dear to your heart that you reckon the whole world needs to hear that you’re too afraid to say because of reasons to do with ‘limitations’? Here’s my tip- say it anyway! You may be surprised who actually connects with a real and personal story and experience!